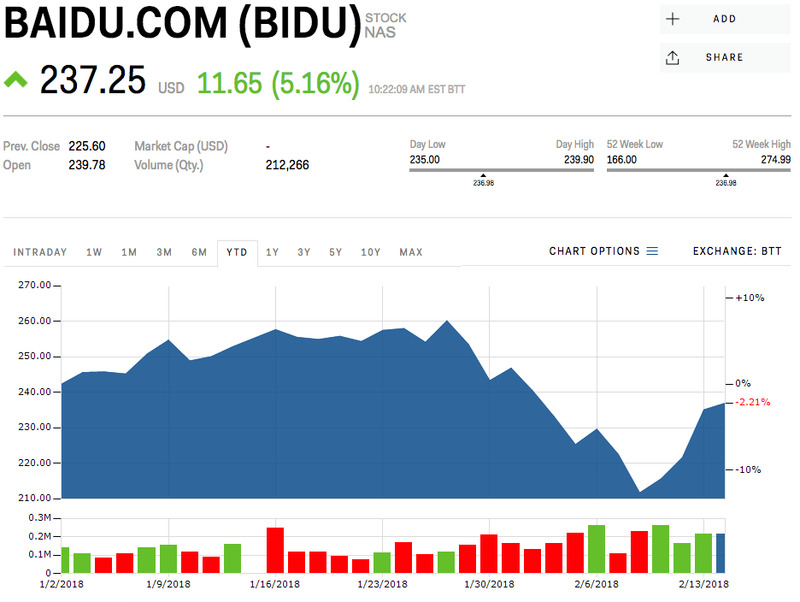 Baidu‘s stock was up 5% Wednesday after reporting an earnings beat and unveiling plans for a US initial public offering of its popular video platform, iQiyi. 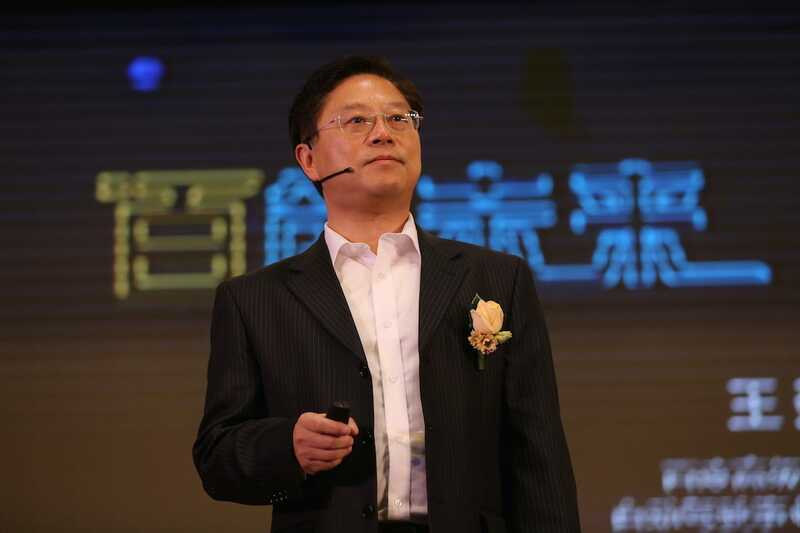 Baidu reported revenue was up 29% year-over-year at $US3.72 billion. Watch Baidu’s shares trade in real time here. Shares of the Chinese internet-search firm Baidu rose 5% after it topped Wall Street estimates and revealed its plan to list its Netflix-like video-streaming platform on a US exchange. The company said it submitted draft registration documents to the US Securities and Exchange Commission with plans to list its popular iQiyi video platform on a US exchange. It did not indicate the size of the initial public offering although it said it plans to remain a controlling shareholder of the company after the IPO. The value of the platform could be worth over $US8 billion, according to Reuters. A US listing would help shore up its financial muscle against Tencent Holdings and Alibaba, rivals which have lots of cash to spend to compete in online video content. The IPO would also become a new driver of revenue growth for Baidu, and offset risky bets made in autonomous driving. The company posted quarterly earnings of 14.9 yuan ($US2.35) per share and revenue of 23.6 billion yuan ($US3.72 billion), beating analysts’ forecasts of 13.36 yuan ($US2.10) and 23 billion yuan ($US3.6 billion). Its revenue was up 29% year-over-year. Yet the company said its content costs rose 46% versus a year ago, mostly from iQiyi. Baidu’s stock was trading at $US236.74 per share, and was down 1.8% for the year. Read more about how giant companies are trying to compete with Netflix.